While there are religious denominations and beliefs that are very accepting of those within the LGBTQ community – the Unitarian and Episcopalian Churches are prime examples – this is not the case with all religious beliefs. While there is sometimes an easy knee-jerk reaction to proclaim that those who identify as homosexual should just switch their beliefs to a sect that is accepting (an opinion I have seen stated in more than one discussion about this topic), that is not always desired, as the core beliefs that come along with religious convictions are not (and should not) be that easily swayed. This represents the common way this debate is usually framed (especially among non-religious individuals or among LGBTQ individuals who are religious but belong to a very accepting church, such as Unitarian), which is the question, “How can you believe in a religion that doesn’t accept or tolerate your lifestyle?” It is seen as much easier to simply find a religion that fits your life and modify your beliefs to mold to that, rather than live in a state of cognitive dissonance where you know that your life and your religious beliefs are (at least on occasion) at odds with one another. In 2014, an article came out on Aljazeera America, entitled, “Meet America’s First Openly Gay Imam.” The article discussed the growing noise from the LGBTQ community within the Muslim world, hoping to have their voices heard and some of the ways that Imam Daayiee Abdullah is helping to provide them a voice. While LGBTQ individuals within religious environments is not a new thing, one of the things that is altering the landscape is the use of websites and social media to carve out safe spaces online, where individuals can meet and be in community with others who share their same beliefs and values, while also identifying in a way that may not be accepted within the mainstream portion of their religion. Blogs such as I am not Haraam and Hear 0ur Voices provide spaces where individuals can go and gather virtually to help maintain their belief system alongside their sexual identity. These sites provide alternate readings of the traditional beliefs with the aim of including diverse sexual identities into the message. Blogging sites, such as Tumblr, often allow individuals to contribute anonymously. 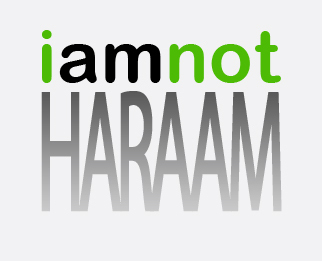 While anonymity is not always a good thing in public discourse, in situations such as the ones offered by I am not Haraam, it provides a safe place for individuals to make confessions. This allows people to feel comfortable and safe in challenging more traditional readings of religious texts. By making these confessionals, these individuals are able to come together to challenge the powers that they view as excluding them from religious discourse. So all this extra sh*t people try to put in it about what you wear and who you sleep with. Your life will be so much easier without other people’s 2 f*cking cents on what you can and can’t do. By looking at these posts, we are able to see these blogs as spaces of resistance to the dominant forces through the attempt of inclusion. These blogs allow individuals to safely contend with the messages they encounter within religious discourse, and form a community based on inclusion (of more than just LGBTQ individuals). This allows individuals who otherwise may have felt ostracized to feel as though they do belong to a larger community, which is often a large benefit from most organized religious. Similar Facebook groups exist as centers of community for other religions, including Gay, Muslim, and Proud and the Gay Traditionalist Catholic community. These online gathering spaces and discourses are only part of the picture, however, with other social media sites aiming to connect these individuals in the “real” world. One example of this is the social network, Meetup, which allows individuals to host different events for people to meet others in person. 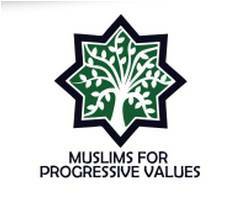 For example, the group Muslims for Progressive Values hosts Meetups around once a month. Not all of these are specific to the LGBTQ community, but all have a similar context of providing a safe and welcoming space to discuss and potentially create alternate readings of the Qur’an. These constructions of third spaces online are starting to also manifest themselves into physical spaces, such as the first gay-friendly mosque that opened in Paris in 2012, however, these physical spaces do not come without risks, with individuals such as Ludovic-Mohamed Zahed, who opened the Paris mosque, being concerned about the location of the space being available to the public due to concerns of safety. It should also be noted that not all are accepting of this mosque aimed at including, and preaching acceptance to, the LGBTQ community, with some expressing the belief that any place that would preach this kind of message is not a mosque and that individuals should not attempt to segregate themselves into other spaces, but should instead attend more traditional mosques. In some instances, this threat can even invade into the online world, with reports like this, where police in Egypt were using the social networking app, Grindr, to track down gay men. For the most part, however, these online spaces offer a safe place for individuals to feel included within and can contribute to religious discourse. While this is a complicated issue that is ever evolving, it serves as a great example of the ways that individuals are able to congregate in online spaces. It is through these spaces that these individuals are able t0create their own and collective alternate readings to texts that are often taken as preaching against their own sexual identity.